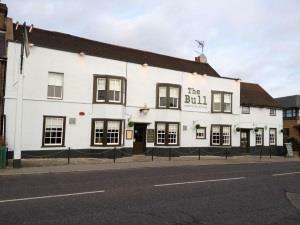 We are a friendly family run pub located in Brentwood, that has recently been refurbished. We serve food all day and you can dine in our table service restaurant or the more relaxed area of our lounge bar. All of our food is home-made and delicious, with dishes such as pate, scallops, goats cheese & caramalised onion tart, sea bass, hand battered cod & chips, home-made pies & steak plus lots more. All of our food is made using the finest ingredients and we use a butcher who specialises in rare breeds. We also have live music every Saturday night, so join us for whole evenings entertainment not just a meal!. Quiz night is every Thursday with a huge cash bonus round every week. At the back we have a large suntrap beer garden, and a terrace on the side for al fresco dining.